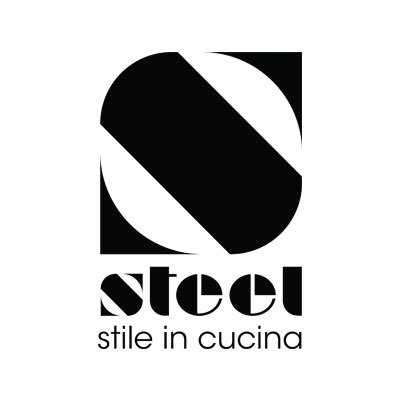 Italian appliance company Steel promises elegance, beauty and function in one while exuding sophistication. Strong family ties and decades of knowledge translate to the contemporary products that Steel designs today. From the beginning Steel has pioneered the markets with its range of steel products made for its own brand. Steel is an Italian company with a long family heritage. Situated in Carpi near Bologna it is owned and run by the Po family, who are the third generation to be involved in the production of range cooking equipment. Angelo Po, the first real pioneer in the sector, started his steel craftsmanship in 1922, firstly with wood burning stoves, before beginning production of advanced commercial cooking models for restaurants. As the products developed and production continued to grow, Angelo Po’s products evolved to a larger scale of production in order to satisfy a growing demand for the product. Steel immediately promoted itself as a specialist in design and manufacture of its sophisticated stainless steel range cookers for the domestic market. A company created by the third generation of a family who claim a major role in the world of cookers, continuing the legacy left by Angelo Po. Today, Steel has come to the forefront of the manufacture of range cookers and hoods for the domestic market. Innovation and functionality are the byword for Steel’s aesthetic designs and professional approach to kitchen products. As Steel has grown, so has the importance of their own brand names such as Genesi and Ascot and there is also a range of semi-professional barbecues and outdoor cooking equipment. Need help finding the perfect kitchen appliance solution for your household? Contact us today and we can help find the right solution to suit your home.